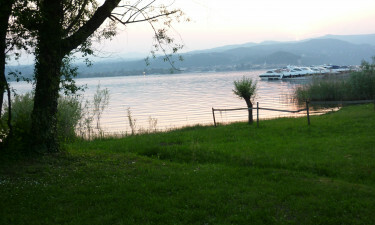 Magnificently situated on the regal Lake Maggiore, this luxury camping site in Northern Italy is a real winner when it comes to a super family camping holiday, and youngsters playing in safety and enjoying themselves. There is so much to do here that you are spoiled for choice. Having a LUX-camp mobile home amid this friendly, small exclusive enclave allows you to relax in a first-class mobile home in the midst of a fabulous location, which boasts sunny weather and a snow-capped mountain range. So book with LUX-camp right now to ensure your luxury camping spot on the dates you need! 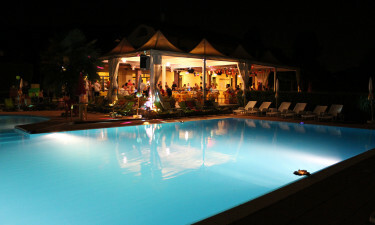 The holiday camping site is close to Milan, one of the country's greatest cities, and its fashion capital. There are lots of major sites to see on an exciting day trip, including visiting a museum or art gallery, going to the interior and the roof terrace of the picturesque, 500 year old cathedral (the Duomo di Milano), which is designed like a wedding cake, and the church of Santa Maria delle Grazi, which houses the world famous Last Supper painting by Leonardo da Vinci. You can also enjoy a tram ride on a green ‘caterpillar,’ have fun at the shops and explore the fantastic restaurants. Another fantastic day trip for all the family is a visit to the Borromean Islands, which are enclosed in the beautiful blue waters of Lake Maggiore. This Archipelago is a favourite place of the British Royal family and Hemingway, and boasts the massive Isola Bella and its imposing 1600s Borromeo, and adjoining scenic grounds. There is also the Rock of Marghera, the tiny San Giovanni, Isola Madre and Fishermen’s Island (Isola dei Pescatori), just waiting to be explored. This is also an exciting destination for a day tour, as it is one of the world's few remaining, well-conserved, fortified medieval buildings. The site of the Middle Age castle, which was used for trade and military purposes, is seated majestically above Lake Maggiore. Its architectural design dates back to 12th century, and when you are high up in one of the fortress openings, you can enjoy a breath-taking panorama of the lake, shore and mountain range. It is a great place for memorable photos and videos. Facilities include volleyball, soccer and a child entertainment crew, rehearsing shows the children will take part in during the evening, and evening entertainment sessions for all age groups. 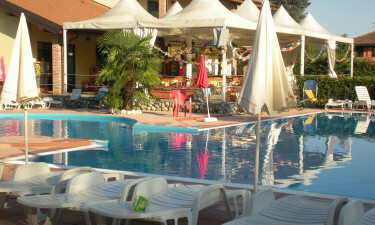 There is a disco nearby, exciting excursions, a games room, a television room and a play area for children. Camping luxury means always having what you need at your disposal. Here you can find a takeaway, bar, restaurant and snack bar.